TAPP Radio Ep 16 SCRIPT | How Do YOU Pronounce It? TAPP Radio Ep. 16 TRANSCRIPTHow Do YOU Pronounce It? Kevin Patton: A recent article in the New York Times claims that research shows that your brain can instinctively trust people, simply because they sound as if they know what they’re talking about. Oh boy, I need to work on my delivery for this podcast. Kevin Patton: In this episode, I start with some news and notes, then move on to a discussion of pronunciation of scientific terms, and end with a resource to help your A&P students. One of the things I enjoy about science fiction is that it allows us to explore the ethical and moral consequences of what might happen in the future when our current technological and scientific abilities advances far beyond what we can do right now. And, well, it’s also kind of fun when we kind of reach some of those milestones that have been explored in previous science fiction stories, and that happened recently, sort of, when news got out that scientists have been keeping pig brains alive without a body for up to 36 hours. Kevin Patton: Now, of course, there’s all kinds of hooing and hollering about … and pig calling, I guess, about is this the next step going to be preserving human brains without a body, and possibly maybe even transplanting someone’s brain out of a body that is now dead into a living body, that maybe had brain death occur. Now, of course, this is the stuff of science fiction, and you know what? It still is, because these brains in the pigs did not last very long, and they did not ever regain consciousness, and not capable of regulating a body. Kevin Patton: And well, maybe it is a starting point for something weird and fantastic, but right now, what the scientists are looking at is the ability to look at how connections, synapses and so on, work in a very limited way, in these brains, a living brain rather than in laboratory experiments that are in tissue that is not part of a whole-brain system. So, it’s something to watch out for, but it’s not science fiction time quite yet. Kevin Patton: You got to love those headlines that really grab your attention, especially in science stories. There was one recently that went like this, “Breaking. Scientists have confirmed a new DNA structure inside human cells,” and there were other headlines that were very similar. like that, I’m thinking, “Oh my gosh, there’s another kind of DNA besides the DNA that we already know about, in the nucleus and in the mitochondrion? Or maybe even a different type of DNA, maybe some kind of three-stranded DNA, or micro-DNA, or oh, I don’t know, I got to read this story and find out,” and what this one is, is, well, something we kind of already knew about, and that is little folds in the DNA that can occur. This one is a fold called, or sometimes they’re described as a knot. I think a fold is more descriptive, a more accurate description than a knot. Kevin Patton: All the hyperlinks in the show notes and at the episode page at theapprofessor.org include hyperlinks, sometimes to various magazines, online publications, and scientific journal articles. And with the latter, these are sometimes not open access, meaning you have to have a subscription to get through, and so if you’re trying to find out more information about some topic that I’m discussing on the podcast, and you click on the link, and all you can see is the title, or maybe the title and the abstract, but you want to know more, but you don’t have a subscription to that journal, what can you do? Kevin Patton: Well, my suggestion is that you go look up your local librarian, and most of the listeners are going to be working at some institution of learning, a community college, or university, or whatever, so go talk to your reference librarian, and they can set you up with the access codes that you need to get into the databases that they’ve subscribed to, and you can probably get to most if not all of the hyperlinks that I provide in my show notes. And if you don’t have access to that, try your local public library, because they often have access to those databases that contain those journal articles as well. an get you into all of these journals, even those that have very expensive subscriptions. Kevin Patton: Whether you’re a new listener or you’ve been around this podcast for a while, you’ve probably run into the term TAPP, T-A-P-P. I recently had a listener ask about that, so I wanted to take a moment to explain. T-A-P-P simply stands for The A&P Professor, TAPP, and you probably have run across the phrase TAPP Radio. Well, radio is often used as a synonym for podcasting, so TAPP Radio is just a shorter way of saying The A&P Professor podcast. So there you have it. e know that you’re a listener of this podcast. But, right now what I want to focus on is what you’re going to be doing on your way to and from the HAPS meeting. What better time is there to catch up on previous episodes of your favorite podcast, and also The A&P Professor podcast? You can go back into your favorite podcast app on your mobile device, or your radio app on your mobile device, or just use a web browser and go to theapprofessor.org, and find all of the episodes that way. You can also click on the subscribe button to see what kinds of apps are available, and how to subscribe. I’ll see you in Columbus, okay? Kevin Patton: It’s my belief that most students are learning a whole new language when they’re in our A&P course, and when we acknowledge that, and support that, our students are in a better frame of mind and better able to succeed. 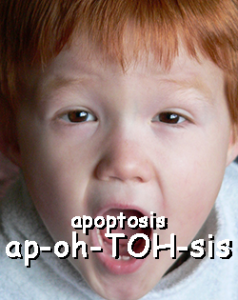 Now, one of the trickiest parts of using the scientific terminology of A&P is getting the pronunciation down. I think there’s at least two reasons why pronunciation is important. One is we all want to be understood, right? Using a recognizable pronunciation makes it more likely that our professional communications, our communications with the students, students’ communication with us, students’ communication with each other, and with their other colleagues once they get into a clinical situation. And in clinical settings, accuracy can be a matter of life and death. d. Even if we don’t speak a term out loud, we sort of pronounce it, you know, in our minds, as we read or as we write a term. We really need some kind of a pronunciation for a term for it to become part of our brain’s operating word list. Actually, what reading scientists call that is our lexicon, and physiologists have even mapped out where at least parts of that lexicon are stored in our brain, so it really is a thing, that we have this word list, and that when we’re reading, we kind of pull out this pronunciation. Kevin Patton: I mean, that makes sense, right? I mean, there’s that sort of inner voice that is going on in our head, even if it’s not really an out-loud kind of voice. When you’re reading a term, you are forming some kind of pronunciation in there. So okay, how does one figure out how to pronounce a term correctly? That’s the next step, right? Okay, we know we need to pronounce it correctly, but what is the correct one? Kevin Patton: Well, at the recent regional HAPS meeting that we held in St. Louis, some of us were sitting around chatting about the differences in pronunciation. For example, why do some people say troponin, and other people say troponin? And we talked about how upset some people get when you say apoptosis instead of apoptosis, that is when you pronounce the P instead of keeping it silent like it, quote, “Is supposed to be pronounced.” Well, some of us remembered participating in a really great workshop that my friend, Ken Saladin does. You may know Ken from HAPS, or from the A&P text book he publishes with McGraw-Hill. Kevin Patton: Well anyway, in his HAPS workshops, Ken would post a term and give five alternate pronunciations, and then asked us to either use clickers or raise our hands to identify which pronunciation was correct, and the group would literally buzz when we realized there were a wide range of pronunciations that we all used. And there would sometimes be even shouting and guffawing when Ken revealed the pronunciation published in one or another respected medical dictionary. They would be saying, “No, that’s not right. That can’t be right.” And then there’d be even more vocalization as he sometimes showed us a different respected dictionary that had yet another way to pronounce that very same term. The point is that there are indeed differences in pronunciation. Kevin Patton: I’d like to spend a few minutes discussing how we and our students learn pronunciation in the first place, and what might be a good approach to handling differences in pronunciation, and preparing our students for such differences themselves as they enter their clinical settings. Kevin Patton: I think that there are several common patterns we each use to develop our pronunciation of a term. First is that we learn it from someone else. We might pick up a pronunciation from a peer, from a mentor, from a learning resource, or from the media. Another way that we develop our pronunciation of any particular term is by looking it up in the dictionary. Written and audio pronunciation guides are available in the major medical dictionaries, and comprehensive dictionaries, and even in some textbooks, and all those similar resources, some of which are freely available on the web. Kevin Patton: So, we learn it from someone else. We can look it up in a dictionary. A third way that we develop a pronunciation of a term is by using common pronunciation patterns. Each language has its own typical pronunciation guidelines, some of which may not even be written down, so for medical terminology, we often use Latin pronunciation pattern or the pattern of what our native language is, and that’s how we develop a pronunciation for a term. Kevin Patton: But here’s where it gets tricky. For some terms, there is no correct pronunciation, only several possible alternate pronunciations. But you know, that’s the nature of human language. It’s variable, and dynamic in usage, and in meaning, and in spelling, and yes, even in pronunciation, it’s variable and dynamic. Well, dictionaries are an attempt at standardizing a language, but dictionaries can’t be absolutely comprehensive. Even if there was one universally-accepted dictionary, it would still change over time as our languages change. Kevin Patton: Besides the futility of an unchanging standard for pronunciation, there are regional differences related to dialect. I speak a form of Midland Urban United States English spoken in South St. Louis. My wife, on the other hand, speaks a form of Southern Rural US English that she picked up in Georgia, and Mississippi, and South Carolina. Which of us is correct in our variations of pronunciation? Hmm. I suggest it’s best to call us both correct, as long as we can understand each other accurately. And that’s the trick, isn’t it? Understand each other accurately. Kevin Patton: Sometimes, these regional differences can be very localized. For example, I usually live in Missouri, but when I’m out visiting in parts away from the big city, I adopt the [Missoura 00:16:13] pronunciation that my grandfather and his siblings used growing up on the Old Patton Farm, and yes, it’s still called the Old Patton Farm. My understanding is that Missoura was the original pronunciation, and that as waves of Easterners came in to settle in St. Louis, they looked at the spelling and thought, “Well, wait a minute. The correct pronunciation should be Missouri.” But Grandpa and his family knew that Missoura was correct, and so they stuck with it. And so well, I’m thinking that maybe both pronunciations are okay. Kevin Patton: Even in Latin and Greek, there are kinds of dialect differences that affect pronunciation. I once had a colleague declare a particular pronunciation to be the correct Latin pronunciation of a term, but that puzzles me, because the earliest memory I have from my first Latin course was an explanation of the different systems of pronouncing Latin, and that included which one we were going to use in our course. I don’t think the system we used is very common in scientific and medical circles, though, because I occasionally find my pronunciations of Latin terms a bit out of the mainstream. Maybe that’s what prompted my colleague to declare his pronunciation as the correct Latin pronunciation. Kevin Patton: I think we should make continuous strong efforts to use mainstream pronunciations when using professional terminology. For the sake of accuracy and safety in our communications, that kind of effort is essential, I think. But, I also think we still need to understand that pronunciations may legitimately differ, perhaps from regional variations, or perhaps from whom one learned their Latin, or maybe anatomy, or physiology, or whatever. I think we need to train our ears and our tongues to adapt to different pronunciations when we encounter them. Kevin Patton: I usually advise my students to listen to the pronunciations of those around them, especially their clinical supervisors and teachers, and adapt to that. I think skeletal muscle tissue is okay for me to say here in Missouri, or Missoura, but I think I’ll be better understood in Calgary or Liverpool if I use the UK pronunciation, which is skeletal muscle, because that’s a regional difference. And by the way, if you hear me say foramen, I’m really talking about a foramen. Blame my Latin teacher, if you must lay blame somewhere. Or maybe it’s just me. Okay, go ahead and blame me. I can take it. Kevin Patton: Hey, I want to take just a minute to mention a resource that you can offer to your students, free access to theapstudent.org. That’s a blog that I’ve been doing for a number of years, called The A&P Student. It’s sort of like The A&P Professor, except it’s not for teachers, it’s for students. And because I’ve been doing it for so long, there’s a pretty huge library of very brief articles that sort of walk students through different study skills and particular analogies and strategies for studying specific topics within anatomy and physiology. Kevin Patton: So if you go theapprofessor.org and click on site map, you’ll see, oh, just a whole bunch of titles of different posts, arranged by topic, and that would be a way that you … a direction that you can send students when they need some help with study skills, when they need some help with test-taking skills, when they need help learning the bones, or learning tissues, or learning metabolism, or learning muscle contraction, or whatever it is they’re having difficult with, so it’s just that many more resources you have on top of whatever textbooks and other resources you use in your course. It’s theapstudent.org. Kevin Patton: On the advice of legal counsel, I assert my First Amendment right to ramble on and on about any topic I care to.